King prawn skewers with Moroccan tomato jam (main course) - home cooked food delivered. 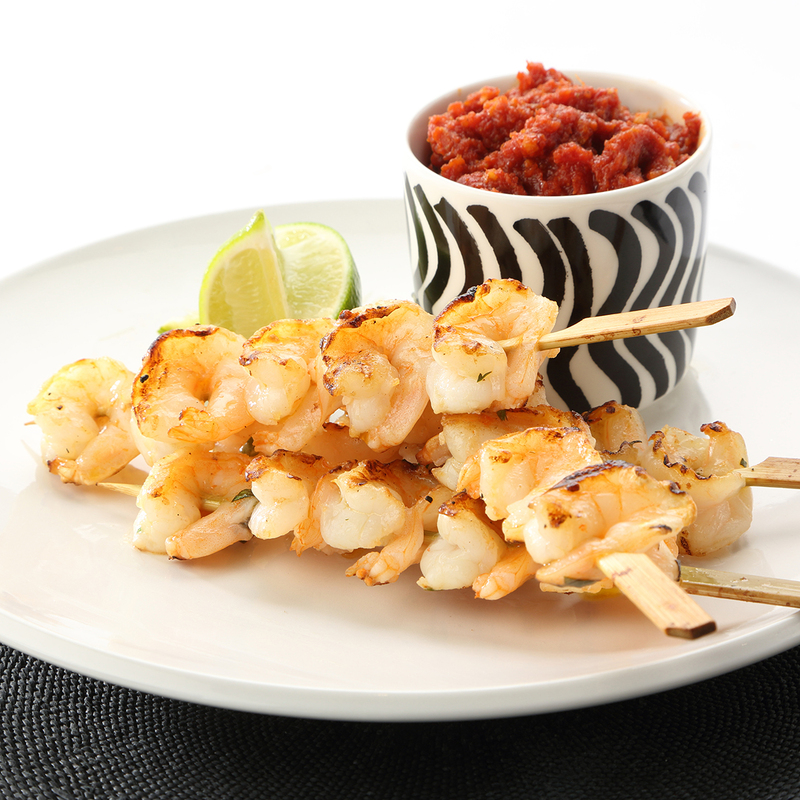 Fat, juicy king prawns with a fantastic savoury seasoning are paired with a Moroccan-style tomato jam which perfectly combines sweet and savoury North African flavours. A fantastic main course for two people, these are also great as a starter for four. King prawns (CRUSTACEANS), garlic, fresh ginger, olive oil, cider vinegar, cinnamon stick, plum tomatoes, soft brown sugar, cumin, cayenne pepper, ground cloves, seasoning. Remove contents from packaging. Either char grill or oven bake on high for about 1 minute on either side. Ensure the product is cooked through and piping hot before serving. Keep refrigerated and use within 2 days. Do not freeze.